A new, robust load balancing system for our Money Wars lobbies and proxy servers. This will make connecting to mini game lobbies much more seamless and expand our overall player capacity. Multiple hubs. Instead of one, we now run 2 hubs that players are auto-balanced into. This will decrease the likelihood of it clogging up. Database and backend optimizations to improve performance of our core systems. But that's the boring stuff. With this downtime I've also rolled out a few changes to some other content. Added some code to stop "double bidding" on an auction, which could either cause a user to be refunded twice, or not refunded at all when outbid. Removed reserved slots from lobbies. All players can join up to the server being full. Player-placed blocks can now be destroyed by TNT explosions. The most important part of today was the beginning technical changes. This Friday's update will offer content for both Skybounds AND Money Wars, and we look forward to showing you what we have planned! Scheduled maintenance has concluded. The server is back online. The Savage Games network will experience downtime tomorrow, Sunday, January 22nd for some major system upgrades. These changes will allow us to increase our maximum capacity and better handle the new wave of players our network has been receiving since the launch of Money Wars. This downtime will last for approximately 1 hour, and we will keep you updated both here and on our Twitter with updates during the process. AN ACTIVATOR HAS BEEN TRIGGERED! Since the launch of Savage Games, we've been committed to providing weekly updates to our servers. Now, we're doing it with the launch of a brand new server type under our umbrella. 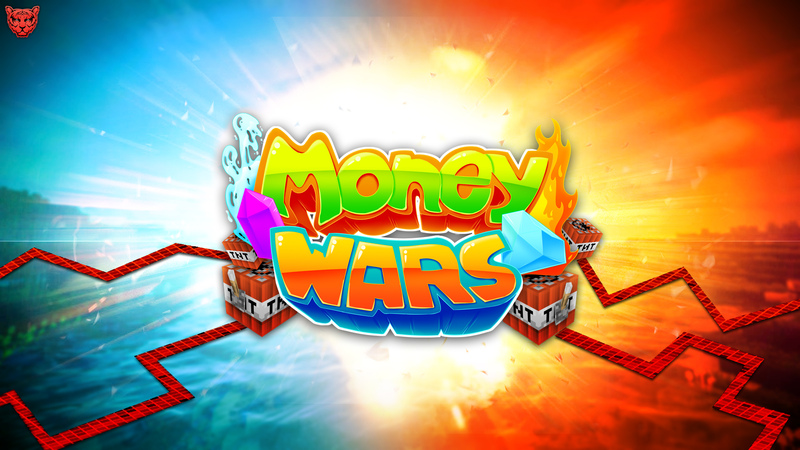 Money Wars is based off well-known games such as Bed Wars and Egg Wars, but with the twist of added TNT and explosions! So what's included in this new update? 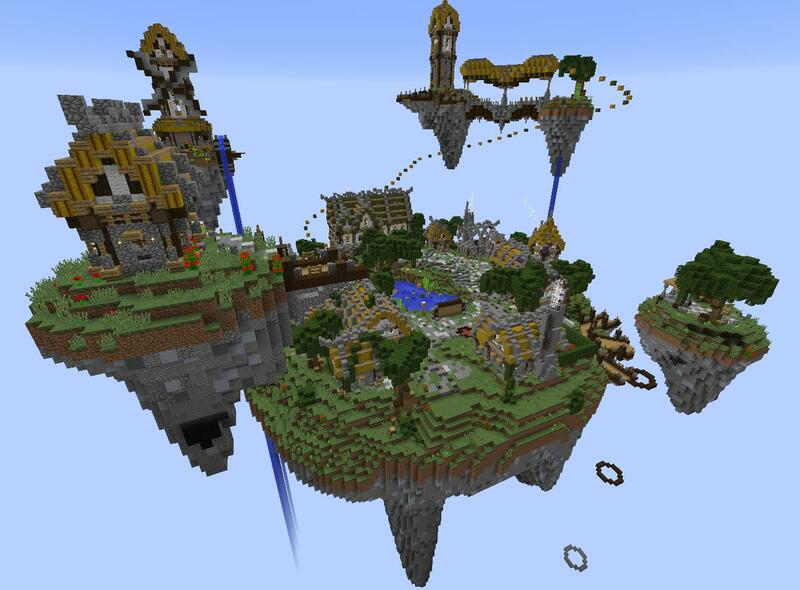 This new lobby is accessible from the current Skybounds hub. 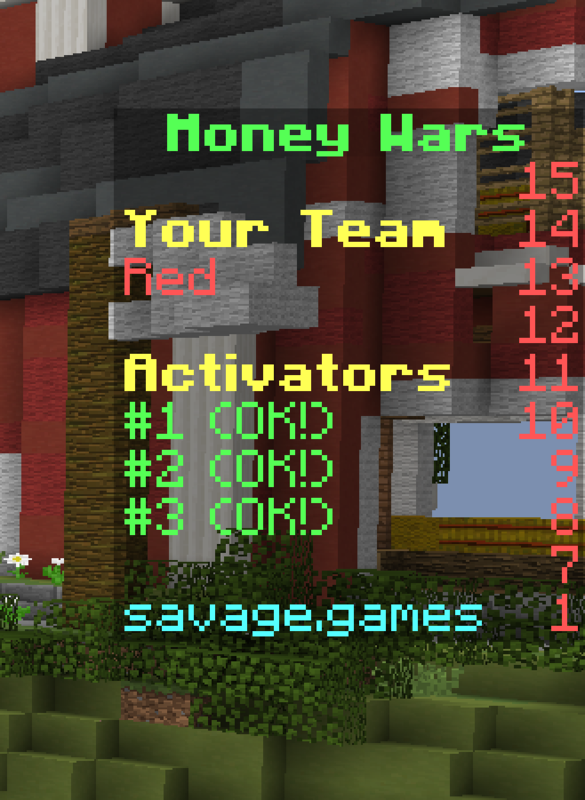 Click the new Money Wars icon in your hotbar to be teleported here. The Money Wars lobby includes a sign wall for joining games, a room of the current kits, and a layout for each of our Kit Crates. (Explained below!) 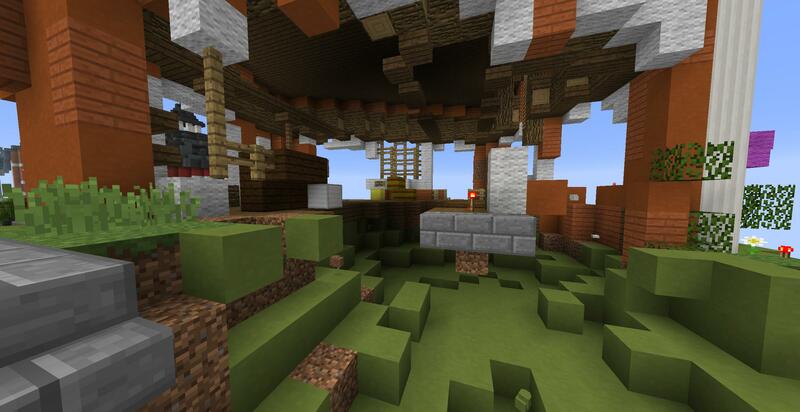 Oh, and there's parkour too. The primary goal in Money Wars is to travel to other players' islands and trigger their activators. When all the activators on an island have been triggered, their ability to respawn is removed and their island erupts with TNT everywhere. Your sidebar acts as a heads-up-display to let you know how many Activators you have remaining vs how many have been hit. It'll also make it very clear when you no longer respawn. You can view the remaining activators for other players in the player list when you press TAB. i wanna help other People with their Islands and their stuff but i have nomany stuff to do that. "Deal With It #EXPLOSIONS!" - Steel Redemption Clan 2016-2019.